I am pleased to say that i've found a hair colour that I blimmin love - Yes I think auburn hair was my calling and after many hours pinning pretty pictures of fiery red heads, I decided to become one...again. This time around the deep, cherry red has been replaced with a woody, burnt orange shade that blends my multi-tonal locks very well, dare I say it. After scouring Superdrug for a blonde hair dye (very fickle) I came across the 'Bohemian Auburns' collection from L'oreal Paris - Preference range. The range includes some beautiful auburn shades including Brooklyn which a deeper auburn however, 'Sardinia' stole my heart and at the most expensive dyes in the shop (£7.49) I decided that I would still go ahead and see what happened. I really like the Preference range as the kits feel / look professional, everything from the applicator bottle to the gloves. This dye is applied to damp, clean hair and left for 30 minutes before rinsing. What is also really good about the Preference range is the super nourishing conditioner that is included in the box, they aren't stingey on size either. I am so happy with the results I absolutely love how warming this shade is against paler skin and light eyes. I don't think that I have been as happy with my hair in years. 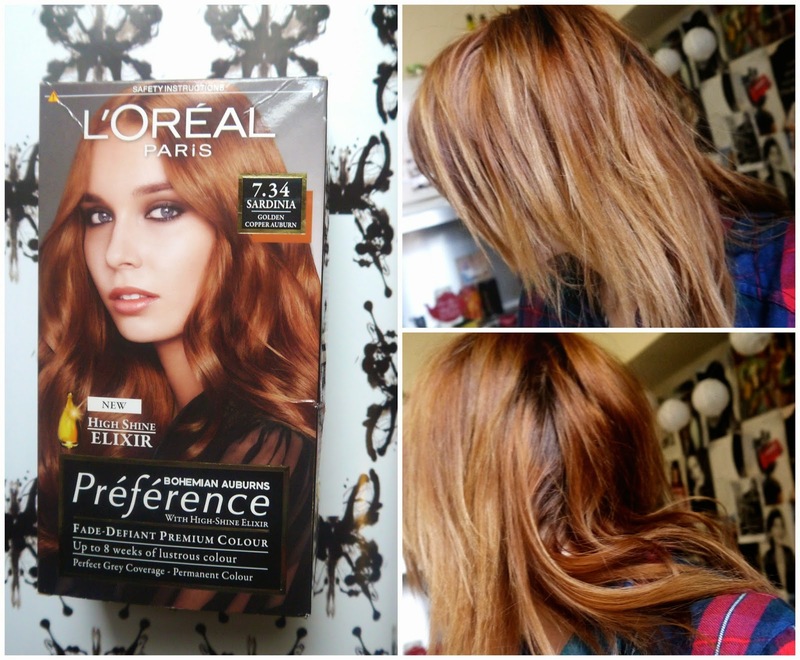 If you dare to go red, most certainly try this shade for a nice mid toned auburn.